CAMERA’s Israel office today prompted corrections after Haaretz‘s English edition inflated the Gaza Strip unemployment rate cited in a World Bank report released today. 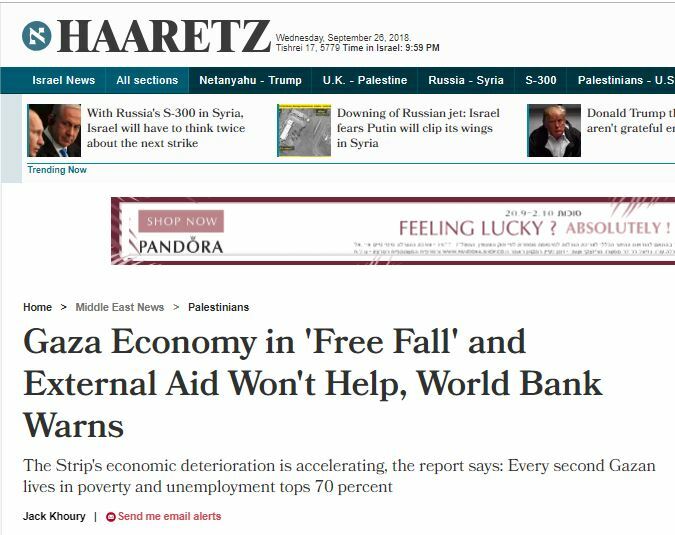 In print (page 3 today) and online (here), Haaretz’s English edition claimed that the World Bank put that figure at 70 percent. But this is incorrect. The report states that 70 percent figure refers to the unemployment rate among youth. The World Bank report cites “an unemployment rate of 53 percent (over 70 percent for youth)” (Executive Summary, page 5). Contrary to standard journalistic practice, editors did not append a note alerting readers to the correction. For additional instances of “Haaretz, Lost in Translation,” in which misinformation about Israel or the Palestinians appears in the English edition which had not appeared in the parallel Hebrew article, please see here.